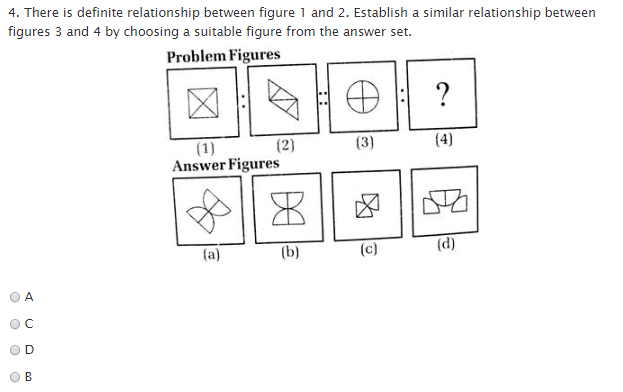 During preparation of a test I am facing problem in solving this non-verbal question. What may the possible solution figure from A,B,C,D? I think the answer is (b). If we look at figure (2), cut it across the horizontal line and slide the top part down, we'll get figure (1). 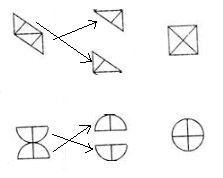 Similary, if we cut horizontaly across figure (b) and slide the top part down, we'll get figure (3).